It Will be Wonderful in Modern Prints, Too! 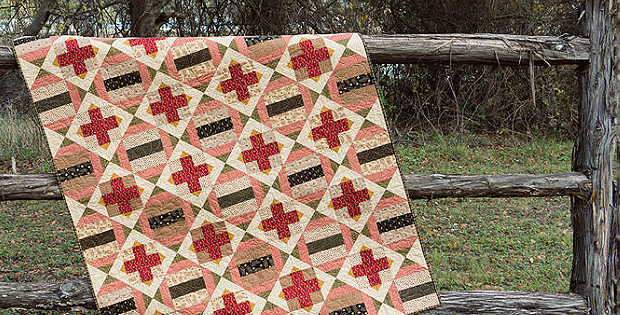 This beautiful quilt has traditional roots, yet modern construction techniques make it suitable for most skill levels. Three blocks combine to create the on-point look. Strong colors and value contrasts are key to the design. It will be stunning in many color palettes. 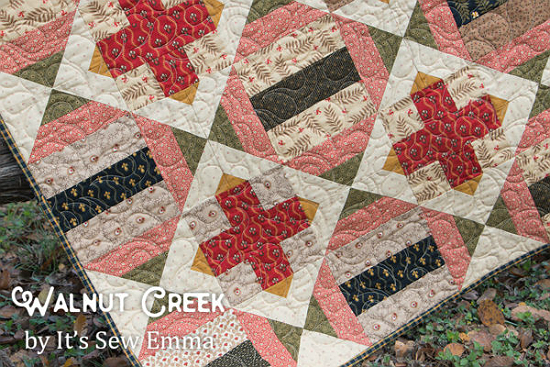 The quilt is reminiscent of a vintage quilt you might find stored away in the attic. Small-scale vintage-look prints produce that treasured homespun look. Brighter, more modern prints will be just as wonderful made up in this pattern. A kit and individual fabrics are available for the version above while supplies last. See them here. Fabrics are also available for the version shown below. You’ll find them here. 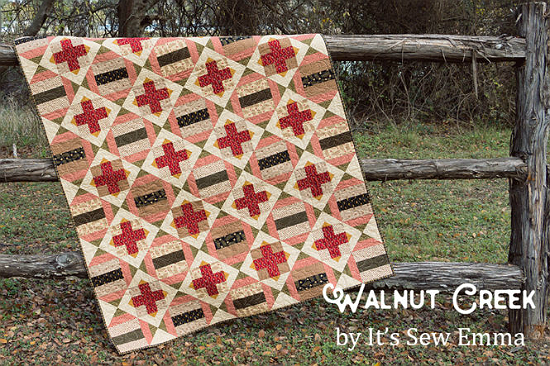 Click here to purchase the “Walnut Creek” quilt pattern.